Dogs commonly fly on planes in Europe, including being allowed in the cabin on many airlines, so you’d expect the airports to be quite pet-friendly, right? Unfortunately though, if you compare the airports of Europe to those in the USA, you’ll be a bit disappointed. 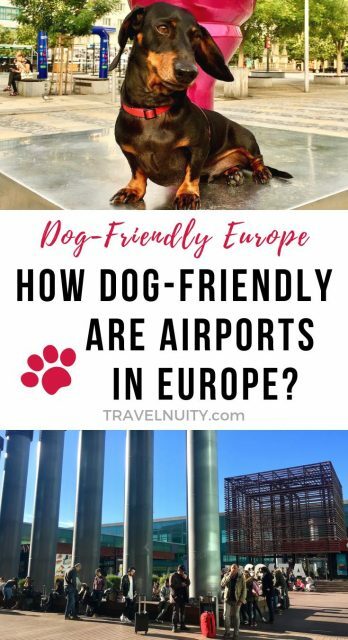 Here are some tips on travelling through European airports to keep in mind when flying with your dog in Europe, including the best dog-friendly airports in Europe. 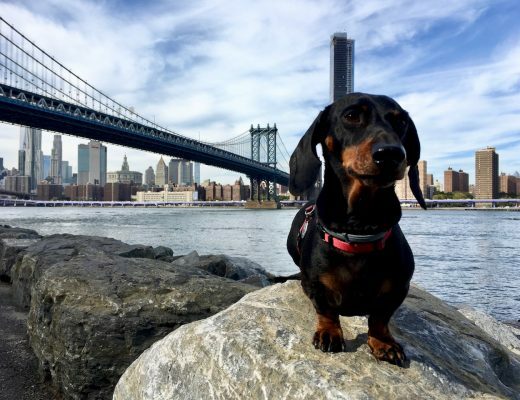 Are Dogs Allowed Just on a Leash? Firstly, don’t always assume that dogs are allowed to walk around the airports in Europe just on a leash. You’ll see this happen at many airports, such as in France and Italy. However, before entering the airport, check for any signage about dog rules. 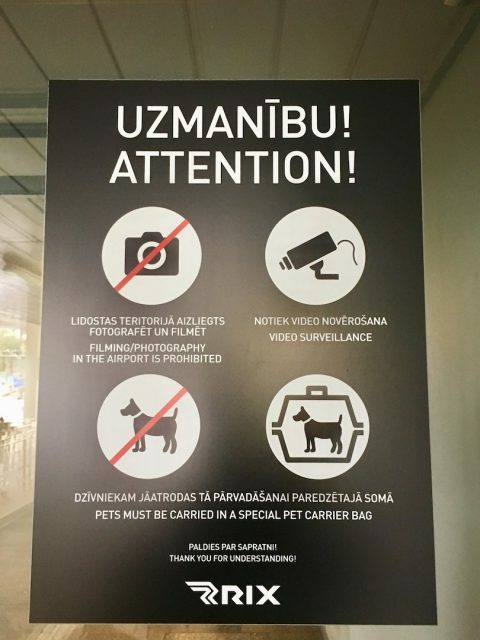 At the airport in Riga, we were allowed to fly with our dog in a carrier bag in the cabin, but he needed to also be in the carrier bag when we entered the airport. Check out my photo of the sign at the entrance. I haven’t seen such signs at other airports, but it’s likely to be at some. Of course this doesn’t apply to service dogs. Despite having flown multiple times with my dog in the cabin in Europe, for a long time I never heard of pet relief areas. These areas are quite common in airports in the USA. They are areas set up for dogs to do their business, whether inside the terminal building or outside the buildings. 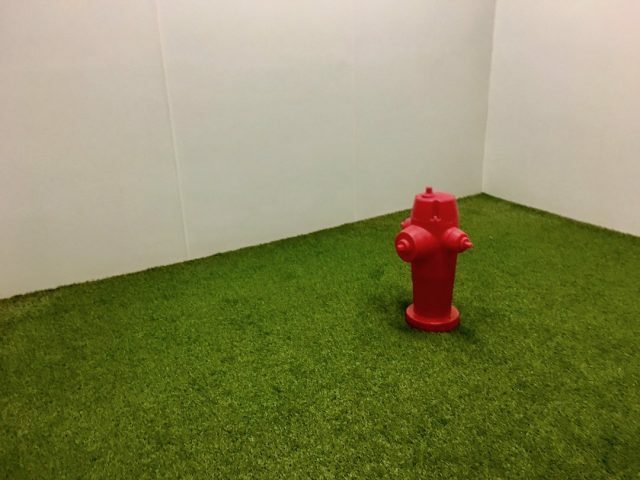 Even better, many of these are located airside of security, ensuring that pets can relieve themselves immediately before the flight or while transferring between flights. Often their location is disclosed on the airport website, or else there is signage, just like for human toilets. However, designated pet relief areas don’t exist at European airports, not even outdoor ones, despite the many dogs that fly. Perhaps this is because many flights within Europe are quite short, and flights with transfers aren’t as common? 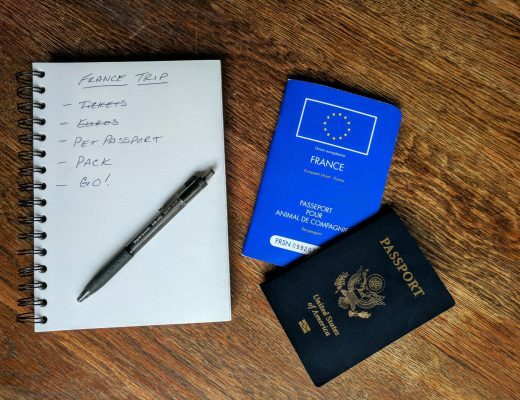 In any case, when you do need to transfer or you’re just about to embark on a long flight (such as across the Atlantic to the USA), these areas would be handy. Instead, here are my alternative recommendations. The best recommendation I’ve come across for a dog-friendly airport is Schiphol Airport near Amsterdam, in the Netherlands. Inside the terminal building, behind security, there’s a grassed outdoor area called the Airport Park. It’s located above Pier D in Lounge 1, in the area for European flights. Unfortunately, I haven’t visited this airport myself, so I’m not 100% sure about the details of the area. Initially I read that there’s some real grass where it’s okay for dogs to pee, but other sources state it’s just fake grass and a pee pad should be used. I’d recommend travelling with a pee pad and using it with your dog (even if they don’t normally use one), with the encouragement that they’re surrounded by greenery, rather than a sterile bathroom setting. In any case, it’s a nice spot to walk your dog with some fresh air! Another airport where I’m certain there’s an option for dogs is Barcelona-El Prat Airport, in north-eastern Spain. It’s the very first airport that I flew out of with my dog in Europe. Fortunately I made a lucky discovery, that later came in handy when I transited at the airport before a 3.5 hour flight to the Canary Islands. Inside the security area of the airport just next to the McDonald’s, is an outdoor area complete with a coffee shop and a bark-covered garden bed. Okay, the area is mainly for smokers, and it’s not the most private area or designed for dogs. But if you’re discreet your dog can do their business outdoors there in a pinch. The majority of other airports I’ve visited with my dog haven’t had any areas suitable for dogs to relieve themselves inside, but they’ve usually had grass just outside the terminal or within a 1-2 minute walk. My usual recommendation is to firstly check-in for your flight, then pop back outside with your dog, before heading back outside and going through security. Unfortunately, the place where I most needed access to a pet relief area was at Paris Charles de Gaulle Airport (or Roissy Airport), prior to flying across the Atlantic with XL Airways with my dog in the cabin, an 8 hour plus flight. And of course I had difficulty finding access to anything suitable, at least near Terminal 2A, where I was flying from. Now, Charles de Gaulle Airport is the second busiest airport in Europe (after Heathrow Airport and narrowly edging out Amsterdam Schiphol Airport) and it’s gigantic. It has three terminals: Terminal 1, Terminal 2 and Terminal 3, with Terminal 2 alone larger than most airports. (Check out the map.) Unfortunately, outside of Terminal 2, at least the western end near Terminal 2A, we simply found expanse after expanse of bitumen and concrete. We eventually spoke to an information desk, and the lady suggested that we take the free shuttle train to Terminal 3. I believe there’s some grass near Terminal 3 (close to the nearby hotels – I’d spotted some from our taxi) and perhaps Terminal 1. 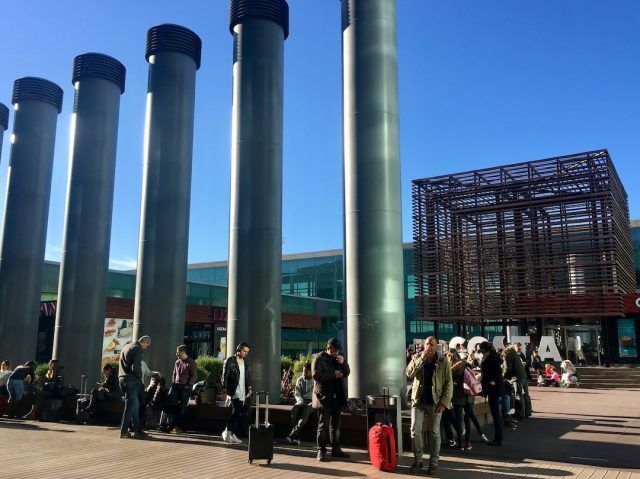 I’ve also more recently heard that there’s grass outside of Terminal 2G, but that’s not connected to the rest of Terminal 2 and requires a shuttle bus. However, by this time we were cutting it fine for taking a shuttle and we ended up finding some weeds in one carpark. 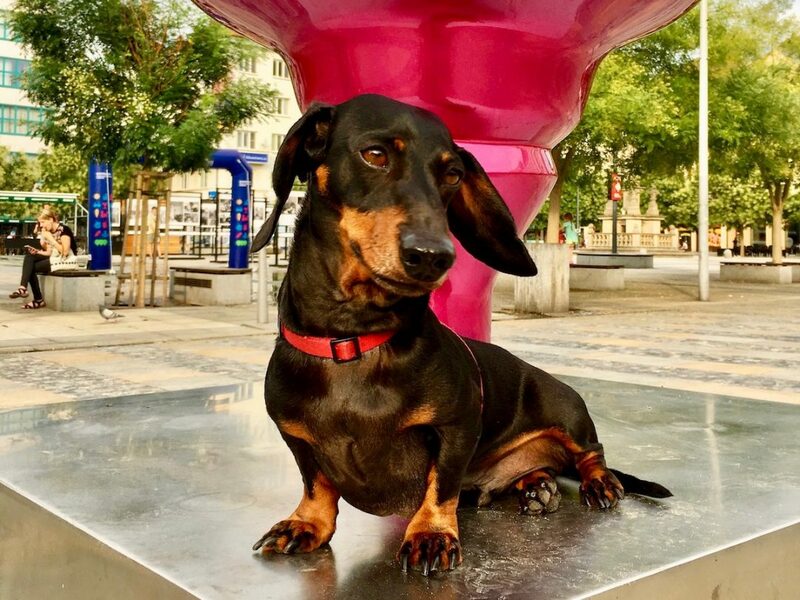 So, if you’re flying through Charles de Gaulle with a dog, double check which Terminal and be prepared for a long mission to find somewhere for your dog!